The Barrowman Foundation supports charities who reach the most vulnerable young people in society. As a young man from an ordinary background, Doug Barrowman witnessed many lives in his home city of Glasgow that could not fulfil their potential due to class prejudice, religious divide or racial discrimination. 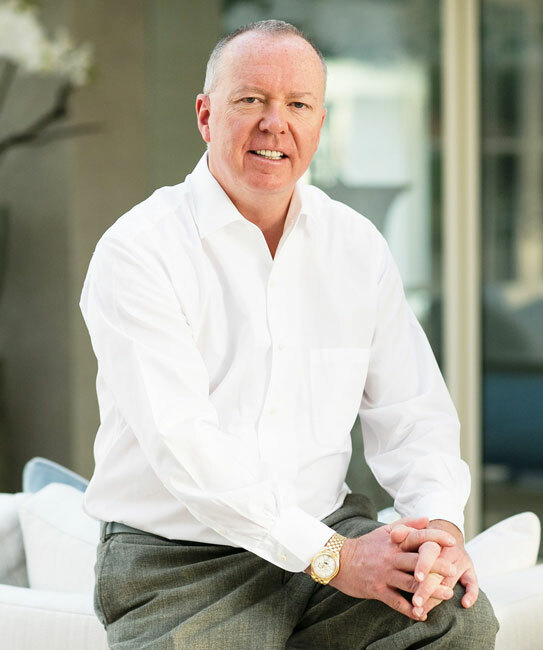 Doug was fortunate that he had come from a good home where his parents encouraged him to make the most of the education he was receiving and he could go on and embrace the opportunities that would unfold to make him a very successful businessman. Throughout his early career he worked with ailing companies to turn them around and guarantee the jobs of their workforces. In more recent times he has been able to focus on new start companies led by proven specialists and by empowering the management of those companies lead them to successful outcomes. With a growing family and enjoying a bit more leisure time with his children, he became aware again of those who are less fortunate and with the success of his businesses he has been a significant benefactor to local, national and international charities through the Barrowman Foundation. The work of the charities that Doug and the Foundation support, help young people to develop their characters and self-confidence, which through the provision of education and learning builds their social and specialist skills. Overtime they grow to their full potential and opportunities are unveiled that were once out of their reach. Such opportunities will not only help them to survive on their own merit, but enable them to live full and prosperous lives that benefit the whole of the community in which they live. We also, through the Creechurch Capital Sports Academy, support young people dedicating their careers to sport who need financial assistance to receive specialist training and compete at national and international level. We are committed to supporting young people from all walks of life to get access to good education, build life skills and receive support for their career or business venture. We also acknowledge that sport can define an individual’s destiny and we help those with a real talent for sport to reach their full potential. The charities we work with offer excellent specialist advice and help. From Doug’s involvement in business and helping new start ups, we can offer young entrepreneurs further guidance on getting ahead of the game and will be launching help and advice on this website soon. Through organising fund raising events we increase the support the Foundation can give to the charities we champion. Our efforts are not just to increase funds but to heighten the profile of the good works being carried out and to encourage others to offer their support.